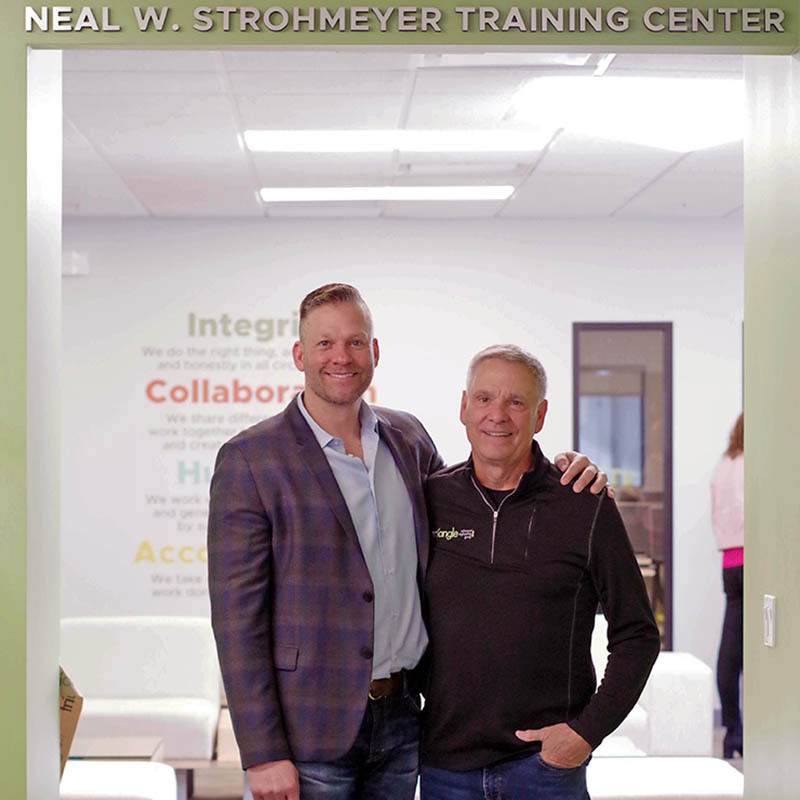 At a celebration on March 26, 2019, Triangle executives, long-time associates and members of the Strohmeyer family gathered to honor CEO Neal Strohmeyer as the newly refurbished Training Center was dedicated in his honor. Neal, a career-long champion of investing continually in the training of his team of associates, was stunned by the surprise gathering and clearly touched. President Dax Strohmeyer, 3rd generation grandson of founder William Strohmeyer, reflected on his family’s 60-year legacy of hard work, tenacity, leadership and success. Sharing stories passed down from generation to generation, Dax attributed his father’s commitment and passion for extraordinary training to a youth spent in sports under the guidance of world-class coaches. Those early experiences shaped him for life and provided the foundation for Neal to become the Head Coach at Triangle. The remodeled training center includes 3 training classrooms, an executive conference room and a communal lounge and kitchen area. Colorful visual graphics express core values of the company and inspirational quotes and photographs provide thoughtful reflection, creating a comfortable, pleasant environment for continued learning and collaboration. Congratulations to Neal and the entire Triangle team.